Gears of War 3 is set to be launched tomorrow, however new videos have been leaked a little early showing the games new weapons and characters.Whetting your appetite a little more before the big day. The videos after the jump reveals how the weapon skins will look in game together with a three minute gameplay preview of Gears of War 3 Blood Drive (bottom). Enjoy! Gears of War 3 is a third-person shooter video game developed by Epic Games and published by Microsoft Studios exclusively for the Xbox 360, which was originally due for release back in April 2011. 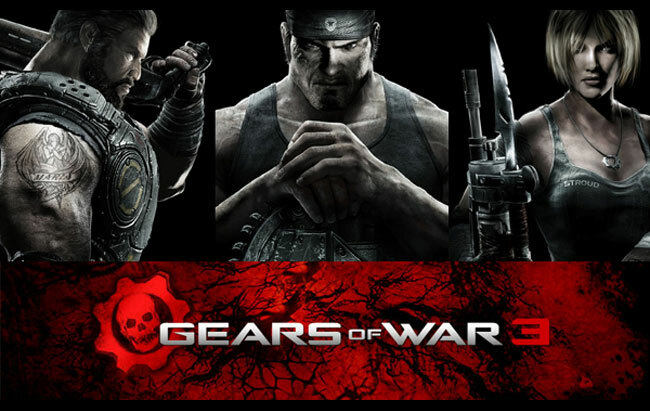 After a long wait Gears of War 3 on Xbox 360 will be arriving tomorrow : Tuesday 20 September 2011.